Professor Hedley-Brooke, a former Director of the Ian Ramsey Centre at the University of Oxford, presented a skilful overview of the chequered history of science and religion, challenging the thesis that the inevitable result of scientific endeavour is secularisation. A full recording of Professor Hedley-Brooke’s seminar can be listened to on the audio player below, as ever we encourage any comments, questions or discussion in the section below. 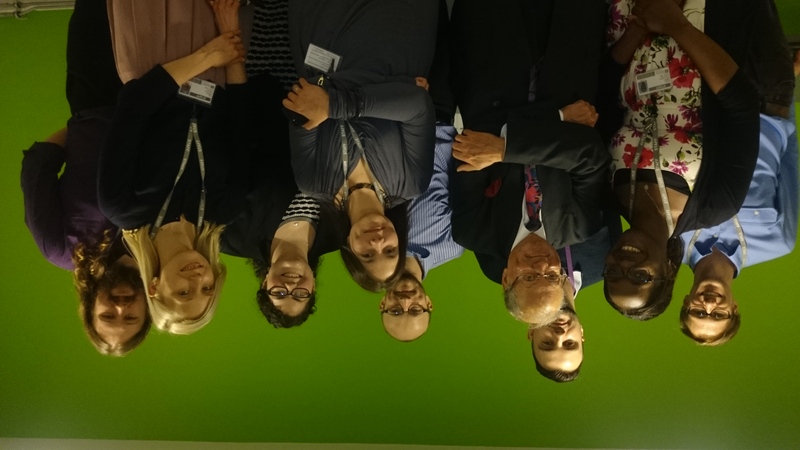 After the seminar the attendees, made up of invited guests and Newman University staff, enjoyed a question and answer session with Professor Hedley-Brooke and a wine reception and buffet, where they were able to meet all of the team and learn more about our new centre’s research. Professor John Hedley-Brooke and the team at the launch of our new research centre. In addition to hosting our project, Science and Religion: Exploring the Spectrum, the new Centre for Science, Knowledge and Belief in Society at Newman University is home to the God-complexity: Conceptualising the Divine project, and a number of other initiatives currently in development. If you are interested in learning more about our research, or the potential for postgraduate opportunities within the centre, please explore our website and do get in touch!